Years ago when I was young and raising my kids, I was often influenced by well-meaning friends and family. They scared me to death with the latest news they had heard and would say, "Don't eat this and don't let your kids do this and did you read that story about how bad this is for you?" It drove me crazy trying to figure out what to believe and finally I'd had enough. They didn't know any better than me, and I decided I was going to follow my own path, seek my own guidance from within, and forget what everybody else thought was right for me. The truth is that bad news sells faster than good news and I am bound and determined to make my site and blog about all the wonderful things you should do and not the scary things you shouldn't do, which are most of the time just speculation anyway. So instead of being tossed around this way and that, I figured it out myself and without a doubt my methods worked better, faster, and more efficiently. I'm going to share the things I have learned that you won't hear very often from anybody else. I have been doing this a long time and many well-meaning people often state things that they have not tried or researched, but rather they are trying to sell products or write an interesting blog or book. It's easy to write things that you know little about, but when you have lived day in and out with these cultures, making them every day, they impart wisdom to you. I am showing you my tips from someone who loves it with all her heart and has a huge desire to help you learn it as well. As always, trust your own guidance over anyone - even me. It's how you discover things you never thought possible and it's so much fun to live this way. You're smarter than you know. 1. 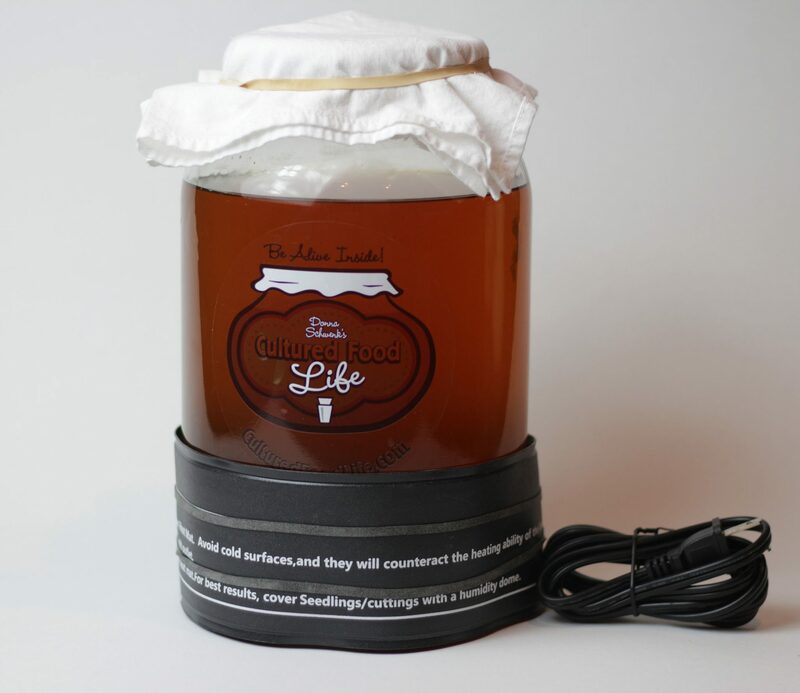 Do you put a cloth or lid on your ferments? 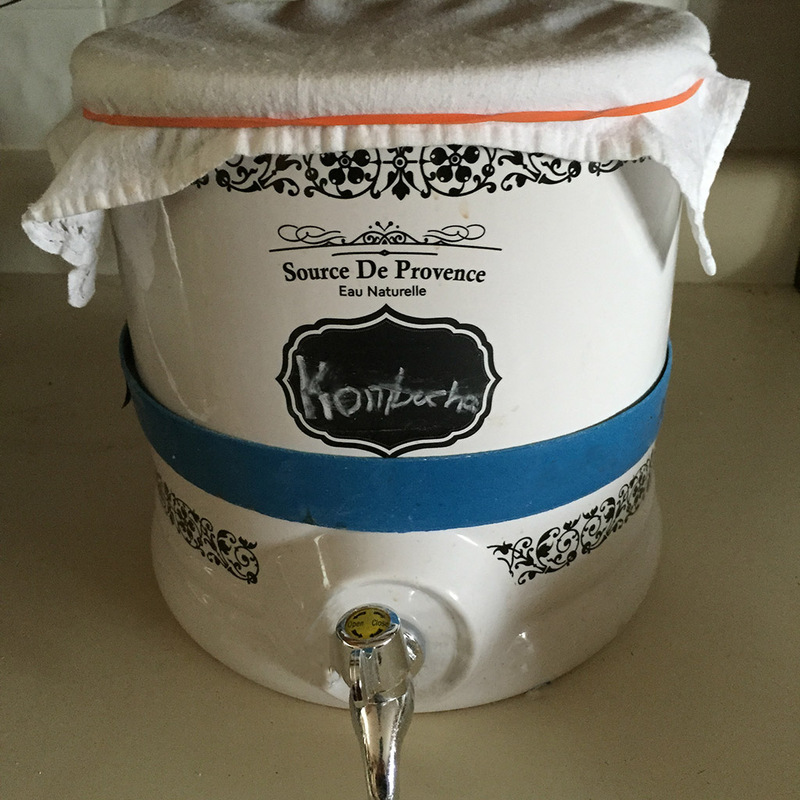 Put lids on your ferments except for kombucha and water kefir. Kombucha and water kefir need a cloth and rubber band. I know lots of people tell you to use a cloth and rubber band on your milk kefir, (or non dairy kefir) but people will often have problems with cross contamination and it is always eliminated when they put a lid on it. 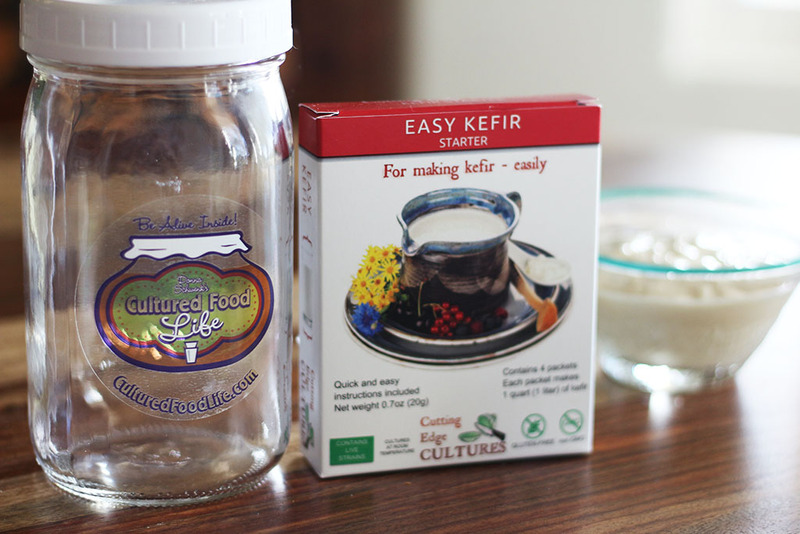 Kefir and cultured veggies need lids, but kombucha and water kefir use a cloth and rubber band. 2. You don't need to use weights on your cultured veggies. In the past, I have used weights to hold down my vegetables, and then I did it without the weights and it worked just as well. Yes, the veggies can climb above the water and you can always open the jar and push them down or leave them the way they are. If the veggies turn brown, remove them. If they get a harmless yeast (kahm) on them, I scrape it off. This yeast most likely develops if the veggies you use aren't fresh. Airlock lids also help with keeping this yeast at bay and so does adding a culture package. You can just skip the weights, and I am giving you permission to do so. It's just too much hassle and doesn't help that much anyway. I haven't used weights in ten years and my veggies do great! Here is more info. 3. Use any kind of jar to make cultured veggies. This particular topic gets me all riled up when people say you have to use an airlock jar to make cultured veggies or you'll harm yourself. It's simply not true and when they tell you this . . . follow the money! It also makes for a sensational blog that drives traffic to their website and scares people, and then folks don't make cultured veggies because they're afraid. I sell airlock lids too and think they're great, but I am by no means going to say you have to use them and only them. 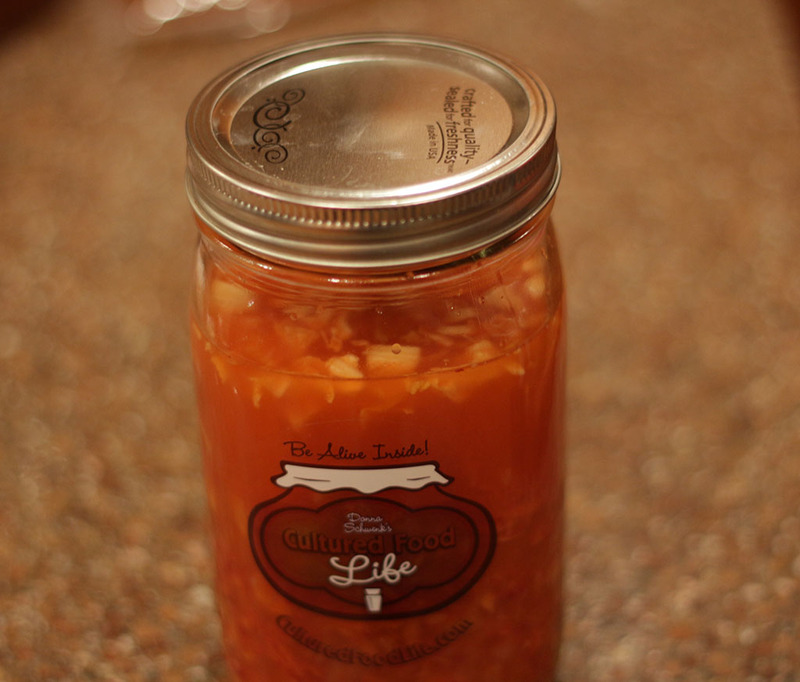 I want you to get better and to make cultured veggies any way you can, be it a canning jar, clamp-down lid, or crock. Don't listen to people who tell you that you have to do it with a special expensive jar. This makes me crazy! Okay, I'm done stomping my foot about this. Kombucha is the one cultured food this most applies to. 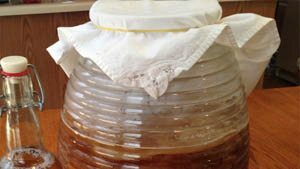 Kombucha needs air to ferment and if it doesn't have enough air circulation, it can cause problems with mold. Putting it in a closed cabinet doesn't give it the air circulation it needs. Plus, you never know what kind of bacteria have been living in your cabinet. Leave your kombucha out on your counter and try to keep it out of direct sunlight and it will do best. But, if it does happen to get in direct sunlight it's not going to kill it. This goes for kefir and cultured veggies as well. Because you have a lid on kefir and cultured veggies, putting them in a cupboard doesn't affect them, but it's best to keep them out of direct sunlight. Again, it won't kill them if you do get direct sunlight on them. I like to look at my cultured foods and I think they are things of beauty in my kitchen. No other food means more to me than my cultured foods. I like to watch them do their job as they transform my food and fill it with probiotics. They have a place of honor on my kitchen counters and don't belong in a cupboard. 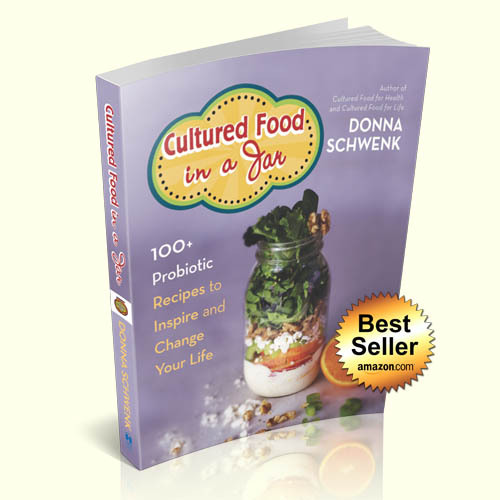 So many people think that letting your cultures ferment longer is better and this is not true. 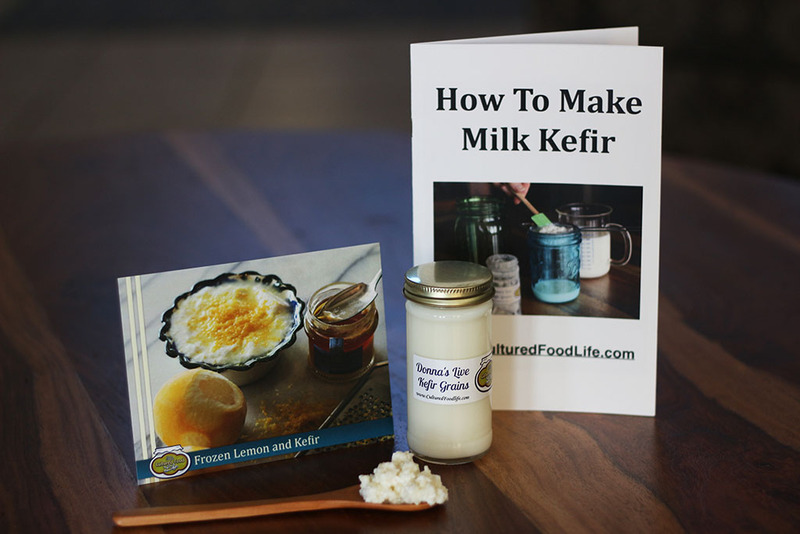 Kefir is best when it's done fermenting at 24 hours or when it is sour and tart. Letting it go 48 hours or longer diminishes the probiotics as the bacteria run out of food to eat and then start to die. The only time there is an exception is when you second ferment your kefir. You are placing some fruit in your kefir which gives it another food source. This will actually increase the probiotics as it eats the sugars from the fruit. Kombucha should be fermented until it is not sweet anymore, not over vinegary, but still rather tart. When it reaches the stage where it tastes like vinegar, much of the good yeasts and bacteria have died and you won't receive as many benefits. Also, if it's over fermented you will not be able to second ferment your kombucha because the good yeasts will have died and won't be there to ferment it again. Hopefully, you will begin to think of all your ferments as living things that need food just as you do. There are lots of people who will tell you to ferment your kraut for 3 to 6 weeks to get the most benefits and to not use a starter since this is how it was done for thousands of years. 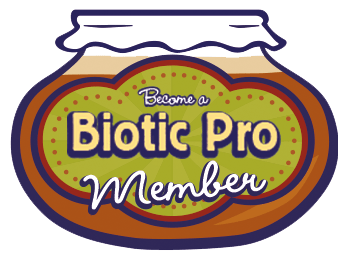 Although I don't disagree that this was a great method, we have evolved and found even better ways to preserve the probiotics and make it better. Unfortunately, fermenting it for weeks on end diminishes the probiotics. As it ferments, the bacteria can begin to run out of food. It is still good for you, but the benefits will not be as many since the bacteria will not be as plentiful. I have had people get mad at me when I tell them to ferment their kraut for only 6 to 7 days, or when I explain to them that using a starter culture will keep the levels of bacteria at a higher level longer than not using a culture. The reason I know this is because a microbiologist who came to one of my classes had the cultured foods tested and found that longer is not better and using a culture versus just salt kept the bacteria going strong instead of dying out. I also noticed that the veggies I ate soon after making them had the most powerful effect on me and so did the ones with added cultures - especially Cutting Edge Culture. The tests done by the Phd review proved what I had always suspected. As always, if you don't have access to a veggie culture starter, then please make it with salt and you will still receive tons of benefits. The sooner you eat them, the more benefits you will receive. 8. Don't wash your kefir grains in water! PLEASE don't wash your kefir grains in water. Never, ever, never do this. It washes off their protective coating of bacteria and yeasts and they will be harmed. They can survive, but it diminishes the good bacteria and yeasts and they won't be as strong. This is one of my pet peeves and one that has given me the title of "Kefir Police." Somebody has to protect these kefir grains for generations to come. Since they can't talk, I am their voice and I will shout to all who will listen, "Don't wash your kefir grains in water - it harms them and hurts me too !" 9. You can use a stainless steel strainer. Metal is something that tends to react with cultured foods and especially with kombucha. Keep metal away from kombucha for it will most certainly break it down. Just as kombucha removes heavy metals from your body, it does the same thing with metals in any regard. So keep metal away from kombucha. 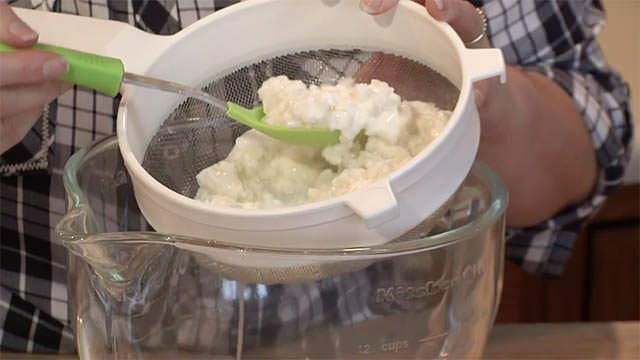 When it comes to kefir, using a stainless steel strainer or spoon is actually okay. People panic when they hear they're to never use a metal strainer or spoon. 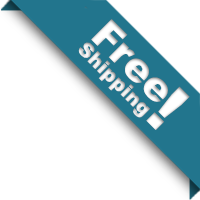 I have used a stainless steel strainer for years and years and it has worked great. 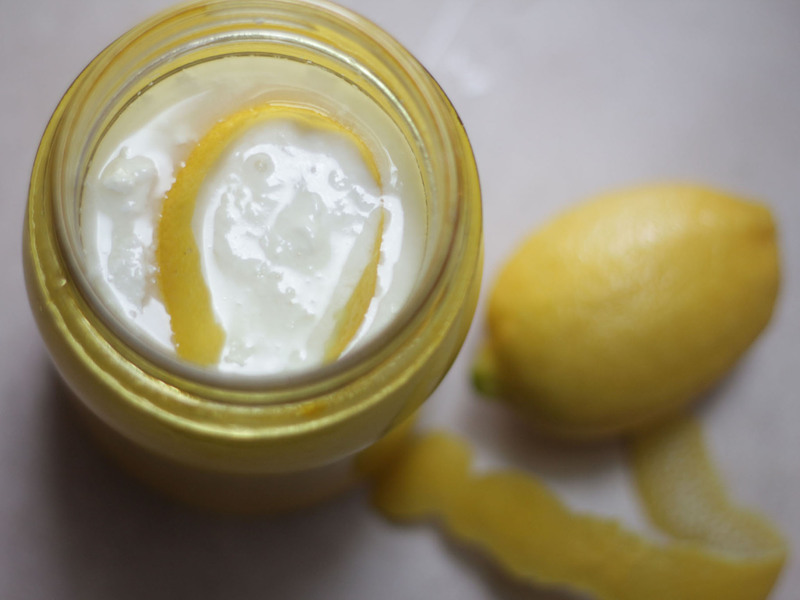 Metal canning lids on jars are fine, too, as long as the kefir isn't in constant contact with the metal. Using a metal spoon is okay - there is no need to worry. Kefir does not have the same kind of properties as kombucha and using metal to strain your kefir or eat your kefir is fine. 10. Cultured veggies can be fermented with metal lids. If you do use a metal lid, it is best to leave lots of room in the jar as the veggies expand and touch the lid. Over time, the ferments will start to break down the metal in the lids but this takes quite a while so it is best to not have them in constant contact with them. I like plastic lids for fermenting best, but if metal is all you have, just leave extra room so they can expand and ferment. 11. Second ferment your kefir for more probiotics. 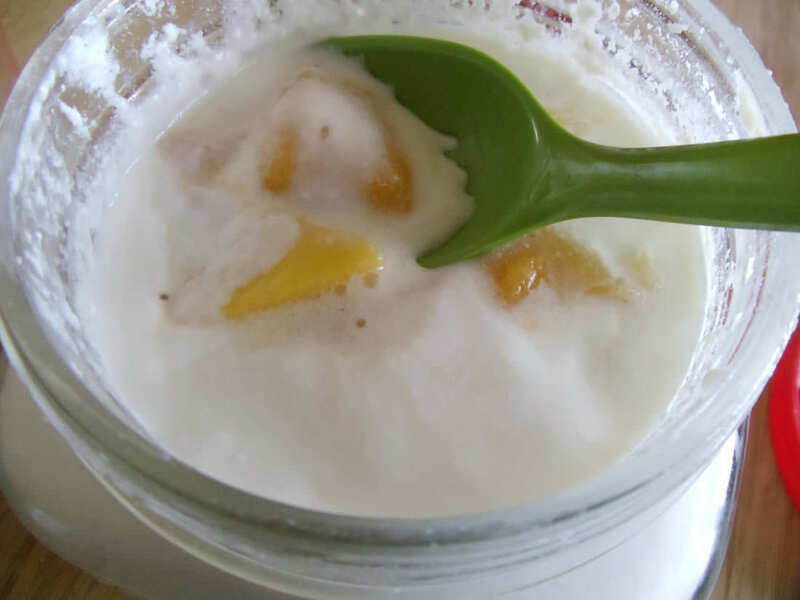 Nothing makes your kefir taste better than adding a small slice of fruit to your kefir and second fermenting it. It increases the B vitamins, especially the folic acid, and also mellows out the tart, sour taste. This is all accomplished by adding the fruit which is a prebiotic for those hungry microbes. They gobble up the sugars in the fruit and make more probiotics for you. Don't let it ferment too long and don't add too much fruit as the taste can get overly acidic tasting. Check out this article for more info. 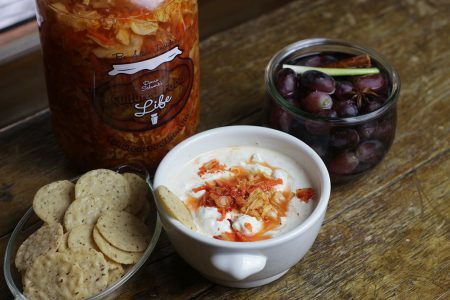 If you're a Biotic Pro member, I've got a whole lesson about this, with even more 2nd fermenting ideas! 12. The terrain is everything. I've been doing this a long time, and the greatest thing I have learned is how important it is to add prebiotics to feed the microbes in your inner ecosystem. Louis Pasteur was a French biologist, microbiologist, and chemist known for his discoveries of microbial fermentation and pasteurization. He believed we should destroy, germs, bacteria, and viruses that invade the body. This theory created a dependence on Big Pharma and antibiotics which can, with overuse, do harm to us and create superbugs. I'm not completely against antibiotics because in many cases they can be lifesaving, but by all means we should try to rebuild the multifaceted inner terrain that houses our microbial community after the use of antibiotics. This inner terrain, comprised of microbes and your immune system, is more important for remaining disease free than searching for new antibiotics and vaccines to kill bacteria and viruses. 13. No two ferments are the same. Your home and mine are unique and different, and they house the bacteria you carry around on you. You're a cloud of trillions of microbes and you carry a cloud with you wherever you go. This is so crazy to think about, but they are starting to use this in forensic work to determine who's been in the room at the scene of a crime. That being said, you can have a powerful influence on those around you by creating a healthy and diverse ecosystem in your gut. This will affect your cultured foods, too. 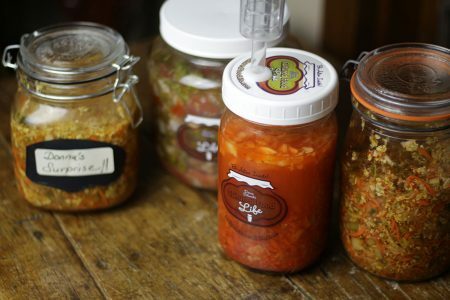 The more you make cultured foods, the better your ferments will work because you're infusing your home with powerful, good bacteria. Your home is an expression of you and so are your cultured foods. They will change with the temperature and how often you use them. They love to ferment; and the more you use them and make cultured foods, the better they will perform. It's the same thing inside of you, it gets better and better the more you pay attention to what you're eating, how you're living, and the emotions you feel. You signal your body to create disease or wellness with everything you do. The more that wellness ensues, the more you spread this to others - quite literally by the bacteria you carry around. So make these foods as often as you can and consume them daily. They will change and get better with time, just like you. 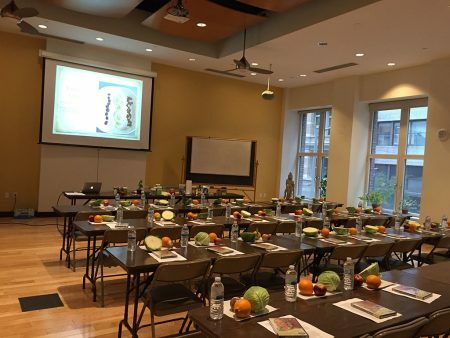 I hope these tips help you and make you feel good about culturing your food. I try to make things as easy as possible so you will do it and receive the benefits. Don't be afraid of messing it up. 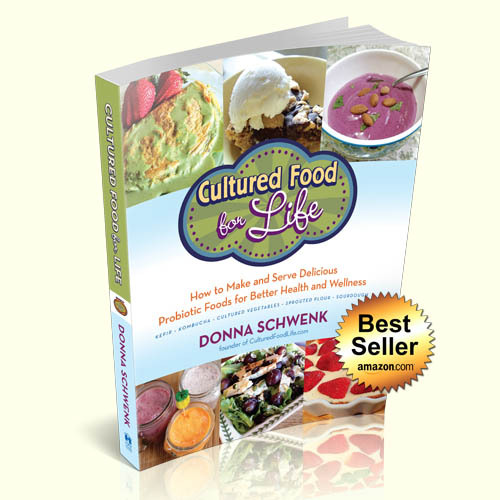 Cultured foods are some of the safest foods to eat and make on the planet. I am dedicating the rest of my life to helping you, so you can get better and change your lives with something as simple as foods that have probiotics in them. If you are still nervous, here is a blog to explain how safe they actually are. 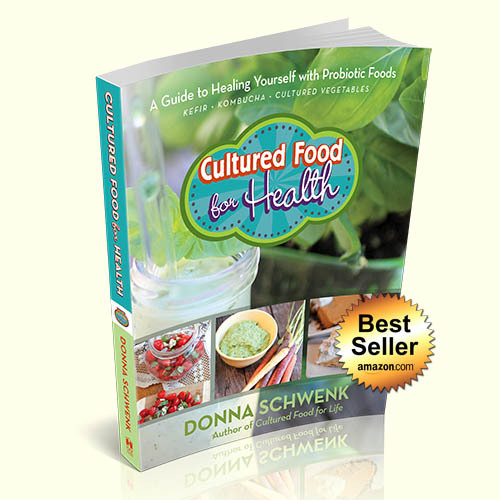 Can Cultured Foods Hurt You? 36 Responses to "Tips That Nobody Else Talks About"
Ok, now you will probably lecture me but I always rinse my MK grains because the kefir tastes like cheese if I don’t and I can’t tolerate it! What do you suggest besides “get used to it” or the obvious not rinsing? Neither of those are viable options for me as I will not drink it and my family won’t touch it. If your rinsing your grains a lot than this can be the problem and reason its not tasting good. What kind of milk are you using? 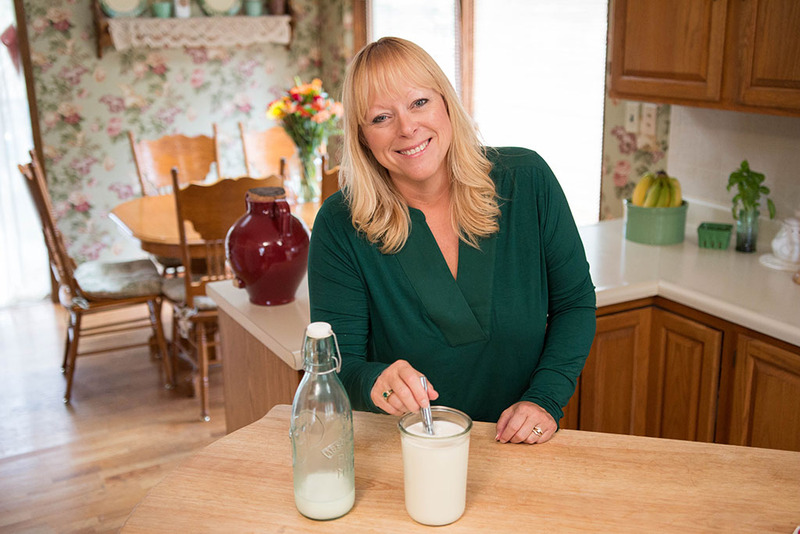 Are you using raw milk with cream? This can get a really yeasty taste so I always remove it before I make kefir. I am using raw cow’s milk but the cream has been skimmed off, the yeasty, fizzy flavor I love but not the stinky, cheesy flavor from not rinsing, Blech! And it gets a funny orangey color on it too but not when I rinse them off. Thanks for all your wonderful tips and advice. You are a blessing for sharing your knowledge and making all of us healthy again! The question I have is: when I’m making cultured vegetables can I use kefir whey instead of Caldwell’s culture starter? Does it make a difference to use one over the other? Yes, you can use kefir whey. I like the taste and over all outcome with Caldwell’s but kefir whey will work great too. So, do you have a recipe for making cultured vegetable juice that will be as powerful as the juice strained from regular cultured vegetables? I feel strongly that the juice form works incredibly well for me, better than eating the vegetables or drinking kefir. I’d appreciate any thoughts or ideas or recipes you may have. Can cabbage be shredded and then frozen and used later to ferment ? Cabbage is on very cheap and I have frozen shredded cabbage for soups in the past and it seems to work well. Thank you for all the information and help you give! Frozen cabbage will not work very well to make cultured vegetables. Thanks for your site! About #1, is a cloth and rubber band appropriate for the jun culture also, or do you recommend the lid with airlock? You need a cloth and rubberband for this culture. Thanks for your helpful info about making these cultured foods. I especially appreciated that you don’t need to ferment kraut for longer than 6-7 days, as I had read recently that it is better for a much longer period of time. Does fermenting kraut for the shorter time of 6-7 days change the goitrogen-effect of the cabbage? Again I had read, that the longer ferment is needed for cabbage to lose the goitrogen effect. I actually don’t know the answer to this question. Many say that it does but I am not sure how long to ferment or if it actually does. My questions in response to this blog are: first, if I store kefir and cultured veggie in the fridge for months, I know they are still good, but do the good bacteria start to die off with prolonged fridge storage? for example, I made lots of cultured veggies with my garden’s harvest, enough to last till the next year’s harvest. However, is that a good idea? Do the bacteria live well for a year? thanks Donna!!! God Bless You! You can’t really tell for sure how much bacteria is there unless you test them but in my experience the probiotics are highest in the first few month and then slowly diminish in the months to follow. As long as the bacteria has food then it will thrive and make probiotics and should be fine even if it takes longer. Are your grains growing? This is the best way to tell if they’re healthy. No you do not need to leave your kefir out after you put fruit in it. Thank you for these tips. I always thought I needed a weight but the times I didn’t use one I just scraped off the bad parts and the veggies underneath were great. I always use metal when straining my kefir grains and they are all fine. Thank you! Thanks for this great list! I can’t wait to get your book. I’m in the midst of moving, so it’ll have to wait a bit longer, but so far I love your recipes. You are so creative! The 4th tip is wonderful! I never liked dissolving the culture in the water for two reasons. 1) You’re supposed to let it sit there for 5-15 min while you chop up the veggies. Well, it always takes me a lot longer to chop up the veggies, even though I have a super food processor. So I never knew when to mix the starter and sweetened water. 2) The amount of veggies that I end up with is always different, depending on the size of the veggies that I use. So if I end up with 3 quart jars, now I can just put 1/4 pkg in each one. Or if I have two quart jars and 1 pint jar, I can do the math! I made two different kinds of cultured veggies this afternoon and it was MUCH easier. I love tip #4!! Very, very helpful. I especially found the “how to add culture” tip just what I needed to hear. I wanted up to the mixing the packet in a bowl and making a giant batch of sauerkraut. So, if we sprinkle the culture with some sugar do we also add or salt, or not needed? I believe the JUICE from the cultured carrots I’ve been eating – store bought, but cultured – has cured my chronic UTIs! I discovered this by chance. And it makes sense, doesn’t it? I’m pretty happy, and it’s time to make my own and stop paying $9/jar! Yes you still need to add the salt. Good job healing you UTI’s! Cultured foods are great for this. Thank you for being so candid with all your helpful tips. I am new to cultured foods and I admit to being anxious from time to time with the fermenting process. This article puts my mind at ease. I recently purchased your book, Caldwell’s starter, and some airlock lids because I wanted to my first attempt to be successful. Your advice and overall kindness is just amazing!! You are simply awesome!! I thoroughly enjoy your posts. Thank you for imparting your wisdom with the world. I am going to buy your book-it will have top billing in my kitchen. Thank you for your kindness, compassion and patience. You are doing great works and living a life full of love and respect which this world doesn’t always see enough of. Thank you especially for the Faith you Have (without even thinking twice) in every person you meet and interact with (in humanity), that brings me joy above all else! Thanks for all your tips Donna! I’m going in circles on which spigot for my continuous brew kombucha. Some say the acidic nature of the kombucha will leach toxins out of a plastic spigot, go for stainless since it’s non-reactive. Then others repeat as you did above that you don’t want metal in contact with the brew. It’s not a lot of either poking into the 2gal dispenser but constant contact either way. Which would you say poses the least concern? I use a plastic spigot. The tea only comes out of it to fill the bottle and food grade plastic is fine for kombucha. Once again, I am so grateful for your helpful advice! Thank you so much! After 15 months of eating cultured foods that I discovered from your blog, I feel better than I have felt in years, not to mention I have finally stopped gaining weight and have even started to lose some! All thanks to you! Can the Caldwell’s culture be reused from batch to batch? The brine that you make with Caldwells can be used from batch to batch. Thank you so much for this post, it has answered several of my questions! I do have another one…Since salt is sometimes used as a antimicrobial (like gargling with salt water or preserving food in salt) does it harm the good bacteria in my kefir? I love it salted! No it does not you can use salt. 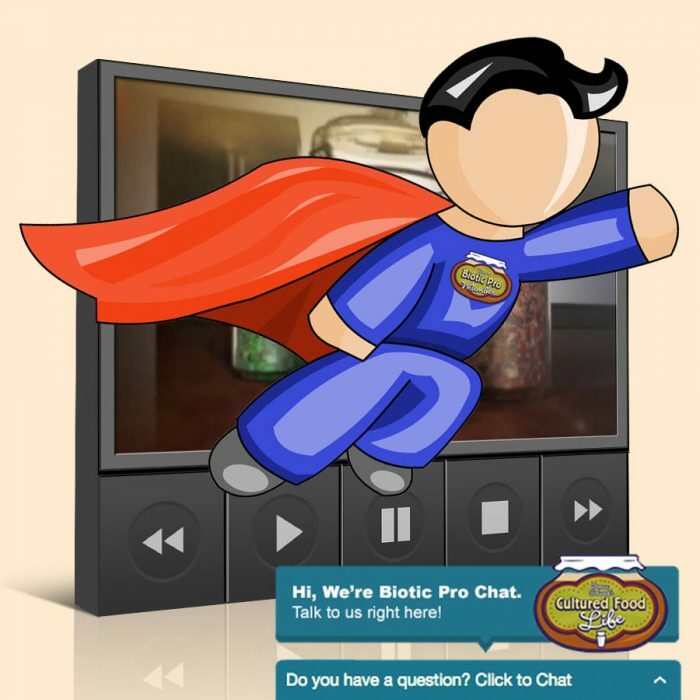 Donna, a huge thanks to you for these tips and all the wonderful information you share on this site! Tonight my son amd I will crack open a 3-day culture of green tomatoes made with your cinnamon dill pickle recipe. This is the 4th ferment we’ve made using your directions, and they’ve all turned out great. My son is begging for veggies! A miracle. 🙂 Next time I’ll try sprinkling the the Caldwell’s right on the the vegetables. Hello Donna- first if all, Thanks for the amazing Kefir grains- they are working up a storm… The other day, however, they went unfed for a few hrs too long and separated to curds/ whey. 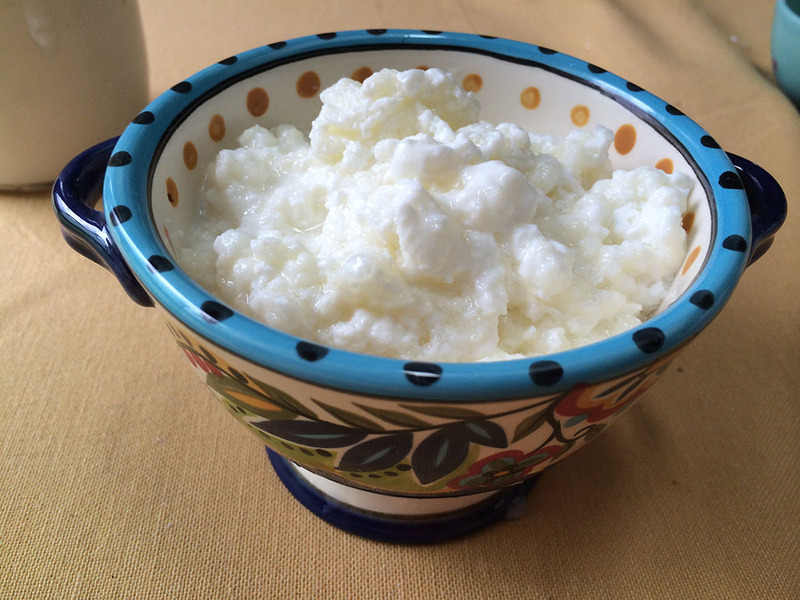 I swirled the jar and rescued the kefir grains (now in while milk, vs 1-2%)… My gut said to strain the curds as if I were making cheese (sort of like the curd cheese in Canada)… It seems OK (smell and taste- wise)… Just hoping to touch base with you and get your thoughts… PS- I tried making kefir cheese with the kefir made with 1% milk- it was way too thin and didn’t work. Is it ok to use the “discarded tests” onto my plants outdoors? Seems like THEY might benefit also. Thanks again- your book is on it’s way- planning fermented veggies next. PS. I feel great and will be sharing our kefir with family when they visit… Can my 1 y/o grandson also take it safely? Yes, you can strain the curds and whey and make cheese. Yes you can give it to plants but dilute it with a little water before you do. Thanks for the thumbs up, Donna… I actually mixed my “kefir curd cheese” with a can of tuna, celery and onions and I made a very tasty (and nutritious) dip. 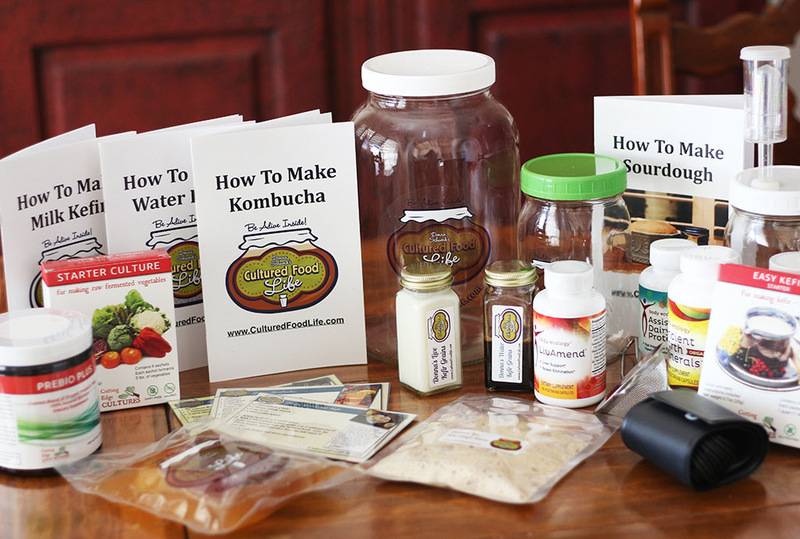 Will try fermented veggies next- recipes in your book look amazing… Especially the sprouted breads… I am hoping my mom’s insomnia improves w/ the kefir also- Thanks aGain! Thank you so much for this information! It’s so refreshing to get your honest opinion and see how much you really care about all you teach. You are awesome! Donna, liked your detailed email this week. 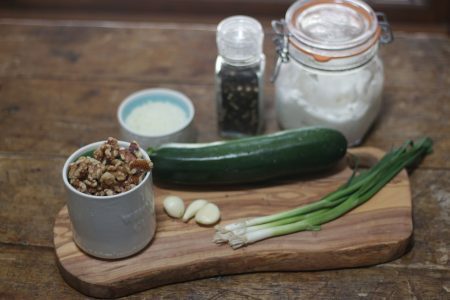 When you put your starter onto the vegetables already in a jar, you say you sprinkle just a little. So, you don’t use the whole package? How many gallons does a package of starter cover? Second question. Cultured food lasts a long time in the frig. 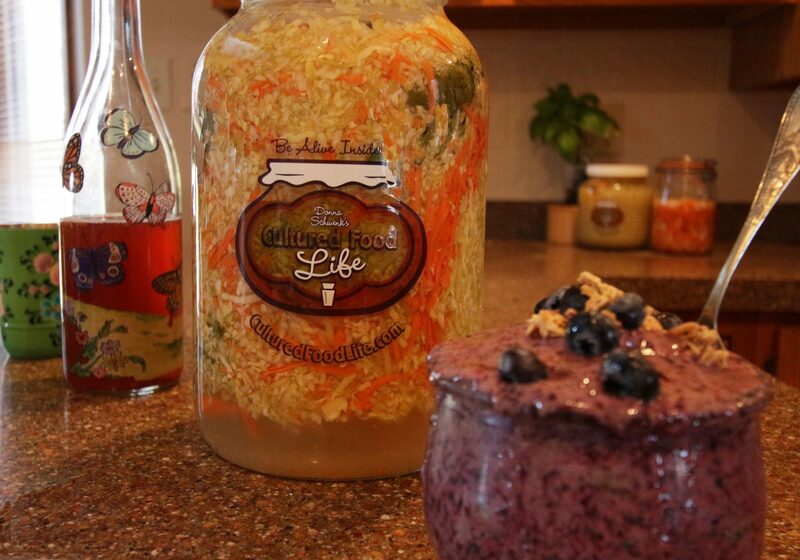 Do the bacteria die off when fermented foods are stored in the frig? Thanks, I’ve really been enjoying adding cultured foods to my food repetoire! The bacteria slows way down in the fridge so it preserves the good bacteria for much longer in the fridge.